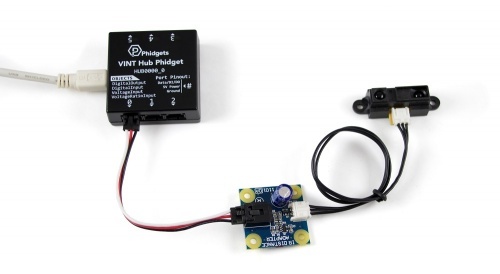 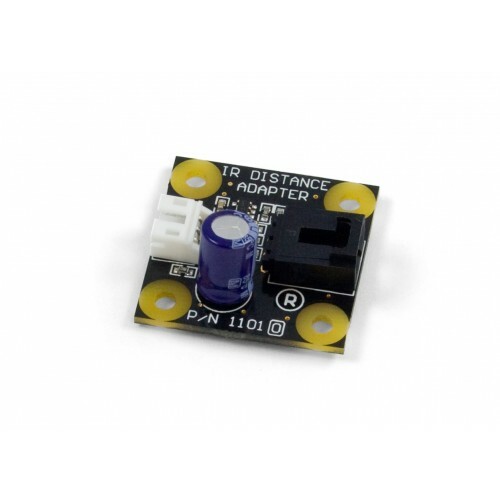 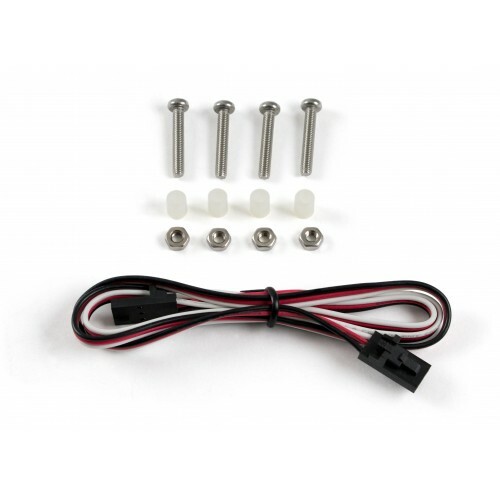 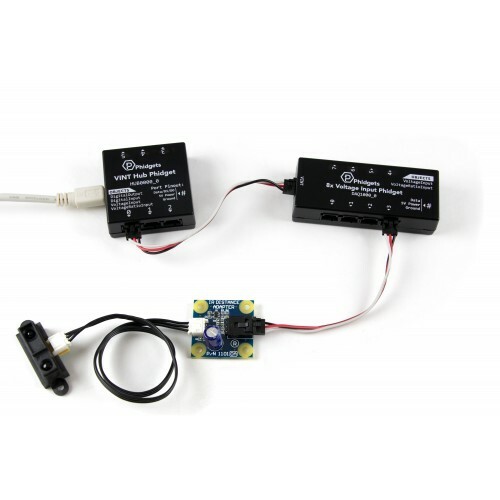 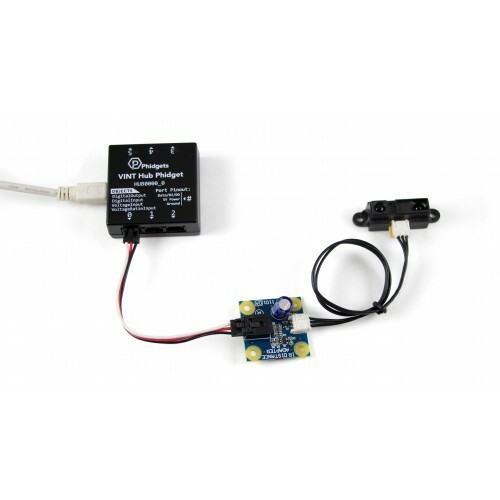 The IR Distance Adapter is designed to interface Sharp IR distance sensors to an Analog Input or VINT Hub Port. 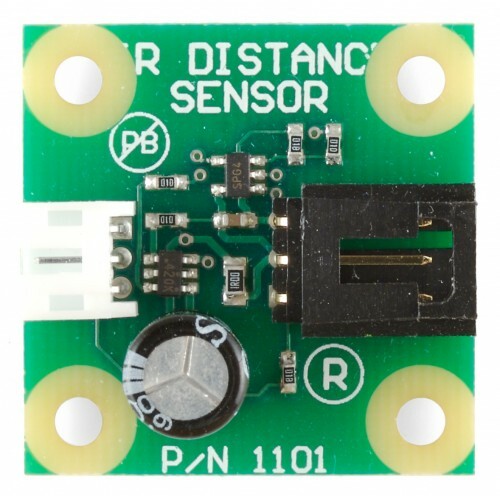 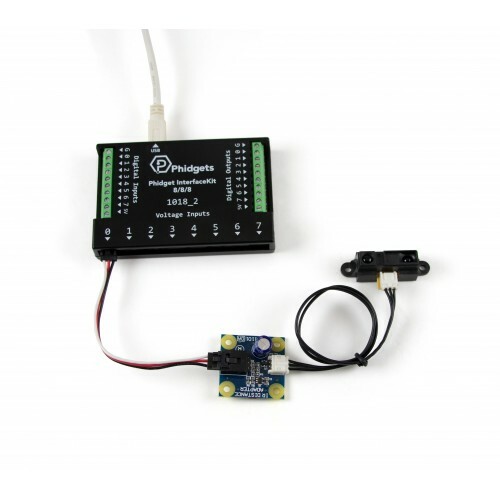 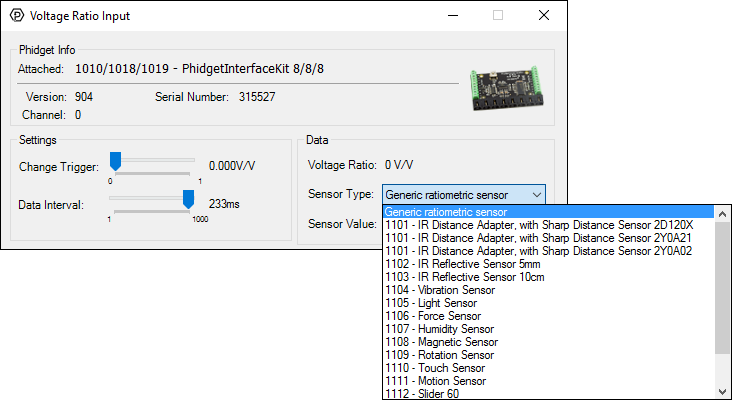 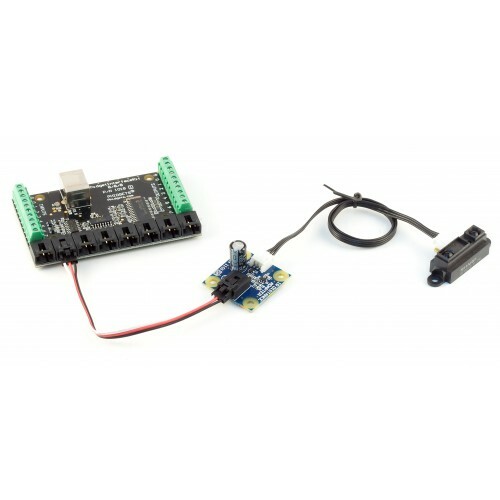 Any Sharp sensor with a supply voltage of 5V and an output voltage range falling within 0-5V is compatible with this adapter. 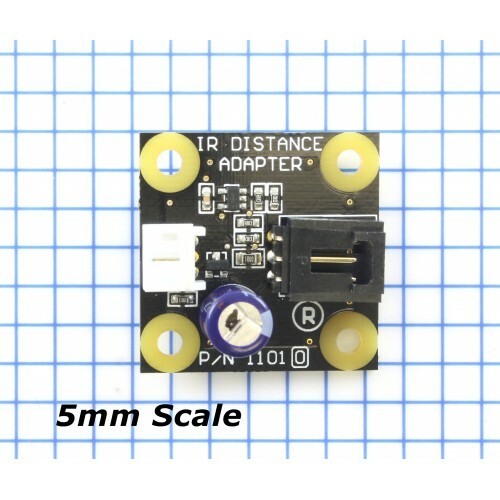 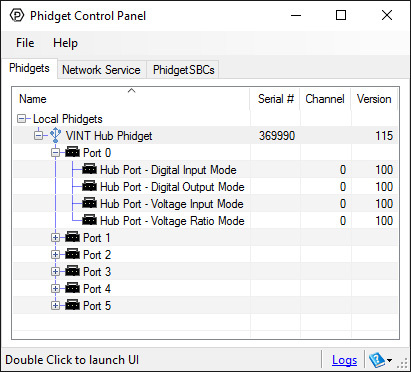 The cable included with this adapter uses a JST S3B-PH connector, like the Sharp sensors sold by Phidgets Inc. 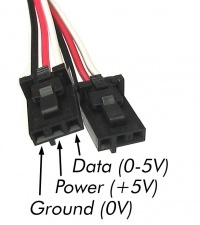 If your Sharp sensor uses a different connector, you'll need to find a matching cable for it.